Talis Putnins is a Professor in the Finance Discipline Group at UTS and a member of the Quantitative Finance Research Centre. He has also held positions at the Stockholm School of Economics in Riga and the Baltic International Centre for Economic Policy Studies, and has been a Visiting Scholar at Columbia University and New York University. His main research interests include financial markets, market microstructure, asset pricing, market manipulation, insider trading, and shadow economies. His research has been published in international peer-reviewed journals including the Review of Financial Studies, Journal of Financial Economics, Management Science, Journal of Financial and Quantitative Analysis, Review of Finance, and Experimental Economics. Talis is the recipient of a Discovery Early Career Researcher Award (DECRA) from the Australian Research Council (ARC). Talis has done consulting and policy work for governments, stock exchanges, and financial institutions and served as an expert witness in legal cases. Using the staggered entry of Chi-X in 12 European equity markets as a source of exogenous variation in high frequency trading (HFT), we find that HFT causes significant increases in co-movement in returns and in liquidity. About one-third of the increase in return co-movement is due to faster diffusion of market-wide information. We attribute the remaining two-thirds to correlated trading strategies of HFTs. The increase in liquidity co-movement is consistent with HFT liquidity providers being better able to monitor other stocks and adjust their liquidity provision accordingly. Our findings suggest a channel by which HFT impacts the cost of capital. Cryptocurrencies are among the largest unregulated markets in the world. We find that approximately one-quarter of bitcoin users are involved in illegal activity. We estimate that around $76 billion of illegal activity per year involves bitcoin (46% of bitcoin transactions), which is close to the scale of the US and European markets for illegal drugs. The illegal share of bitcoin activity declines with mainstream interest in bitcoin and with the emergence of more opaque cryptocurrencies. The techniques developed in this paper have applications in cryptocurrency surveillance. Our findings suggest that cryptocurrencies are transforming the black markets by enabling 'black e-commerce'. We examine returns, order flow, and market conditions in the minutes before, during, and after NYSE and Nasdaq short sales. We find two distinct types of short sales: those that provide liquidity, and those that demand it. Liquidity-supplying shorts are strongly contrarian at intraday horizons. They trade when spreads are unusually wide, facing greater adverse selection. Liquidity-demanding shorts trade when spreads are narrow and tend to follow short-term price declines. These results support a competitive rational expectations model where both market-makers and informed traders short, indicating that these two shorting types are integral to both price discovery and liquidity provision. We investigate which of the two main centers of gold trading—the London spot market and the New York futures market—plays a more important role in setting the price of gold. Using intraday data during a 17-year period we find that although both markets contribute to price discovery, the New York futures play a larger role on average. This is striking given the volume of gold traded in New York is less than a tenth of the London spot volume, and illustrates the importance of market structure on the process of price discovery. We find considerable variation in price discovery shares both intraday and across years. The variation is related to the structure and liquidity of the markets, daylight hours, and macroeconomic announcements that affect the price of gold. We find that a major upgrade in the New York trading platform reduces the relative amount of noise in New York futures prices, reduces the impact of daylight hours on the location of price discovery, but does not greatly increase the speed with which information is reflected in prices. We exploit a unique natural experiment—recent restrictions of dark trading in Canada and Australia—and proprietary trade-level data to analyze the effects of dark trading. Disaggregating two types of dark trading, we find that dark limit order markets are beneficial to market quality, reducing quoted, effective and realized spreads and increasing informational efficiency. In contrast, we do not find consistent evidence that dark midpoint crossing systems significantly affect market quality. Our results support recent theory that dark limit order markets encourage aggressive competition in liquidity provision. We discuss implications for the regulation of dark trading and tick sizes. State-owned enterprises (SOEs) account for a substantial proportion of GDP, employment and assets in many countries. This article reviews the theory relating to SOEs: their economic rationale, the circumstances in which SOEs are the preferred form of government intervention, and their efficiency and welfare consequences. Based on the theory and empirical evidence, we develop a novel five-step framework that can guide policymakers and economic advisors in making decisions about maintaining and/or creating SOEs. The framework suggests that the use of SOEs should be limited to circumstances in which a market failure exists, less invasive forms of intervention such as regulation/taxes/subsidies and private sector contracting are ineffective or not possible, and the welfare loss of the market failure exceeds the costs, distortions and inefficiencies of SOEs. Regulators globally are concerned that dark trading harms price discovery. We show that dark trades are less informed than lit trades. High levels of dark trading increase adverse selection risk on the lit exchange by increasing the concentration of informed traders. Using both high- and low-frequency measures of informational efficiency we find that low levels of non-block dark trading are benign or even beneficial for informational efficiency, but high levels are harmful. In contrast, we find no evidence that block trades in the dark impede price discovery. This study develops a method that uses surveys of company managers to measure the size of a shadow economy. Our method is based on the premise that company managers are the most likely to know how much business income and wages go unreported due to their unique position in dealing with both of these types of income. We use a range of survey design features to maximize the truthfulness of responses. Our method combines estimates of misreported business income, unregistered or hidden employees, and unreported wages, to arrive at an estimate of the size of a shadow economy as a percentage of GDP. This approach differs from most other studies of shadow economies, which largely focus on using macro indicators. We illustrate the application of our method to three new EU member countries. We also analyze the factors that influence companies' participation in the shadow economy. We empirically analyze the prevalence and economic underpinnings of closing price manipulation and its detection. We estimate that ~1% of closing prices are manipulated, of which only a small fraction is detected and prosecuted. We find that stocks with high levels of information asymmetry and mid to low levels of liquidity are most likely to be manipulated. A significant proportion of manipulation occurs on month/quarter-end days. Manipulation on these days is more likely in stocks with high levels of institutional ownership. Government regulatory budget has a strong effect on both manipulation and detection. In this paper, we develop two automated authorship attribution schemes, one based on Multiple Discriminant Analysis (MDA) and the other based on a Support Vector Machine (SVM). The classification features we exploit are based on word frequencies in the text. We adopt an approach of preprocessing each text by stripping it of all characters except a-z and space. This is in order to increase the portability of the software to different types of texts. We test the methodology on a corpus of undisputed English texts, and use leave-one-out cross validation to demonstrate classification accuracies in excess of 90%. We further test our methods on the Federalist Papers, which have a partly disputed authorship and a fair degree of scholarly consensus. And finally, we apply our methodology to the question of the authorship of the Letter to the Hebrews by comparing it against a number of original Greek texts of known authorship. These tests identify where some of the limitations lie, motivating a number of open questions for future work. An open source implementation of our methodology is freely available for use at https://github.com/matthewberryman/author-detection. This paper sheds light on Latvian exporters - how active they are, what challenges they face, what makes them succeed or fail. Our study draws on a survey of 503 medium-sized Latvian companies. We find that most medium-sized Latvian companies are exporters (either directly or indirectly) and for a typical exporting company, export turnover constitutes more than half of its total turnover. Exporting companies tend to be larger, younger and faster growing than their non-exporting counterparts. They pay higher average wages, consistent with the no-tion that they have higher labour productivity or utilise more skilled labour on average. For a typical company, export activity has been stable over the past five years, with zero growth in export turnover and an average increase of one additional export destination; however, there is wide dispersion in export growth and success among exporting companies. Success-ful exporters tend to be larger, with higher productivity growth and greater innovativeness, proactiveness and risk taking, i.e., stronger entrepreneurial orientation. The main obstacle preventing non-exporters from commencing exporting is lack of international competitive-ness. This is also the main reason why companies discontinue exporting, and should be the focus of policy aimed at promoting exporting. Despite the significant attention that market manipulation has received in recent years many aspects of it are poorly understood. This article identifies from the theoretical and empirical literature what we do and do not know about market manipulation, and suggests directions for future research. We know that manipulation is possible and that it occurs in a wide variety of markets and circumstances. In contrast, we know little about how often manipulation occurs, its effects and how it responds to regulation. Suggested approaches for future research on these issues include: (i) collecting more comprehensive datasets of manipulation cases; (ii) using detection controlled estimation methods to overcome sample selection and partial observability problems; and (iii) conducting controlled experiments. This article also constructs a novel and broad taxonomy of the different types of market manipulation and discusses approaches to defining manipulation. We exploit a quasi-experiment to examine the effects of market makers and stock analysts in three emerging stock markets. We find substantial differences in the effects across markets, and in contrast to existing literature, the effects of market makers are not always positive. Our results suggest that the structure of market makers' agreements and compensation matters for their effects on market quality. Stock analysts, on balance, have marginally positive effects on liquidity and informational efficiency. The benefits of market makers are weaker in the presence of stock analysts, and vice versa, suggesting that market makers and stock analysts are more like substitutes than complements in their effects on market quality. This study develops and estimates an index of the size of shadow economies in Estonia, Latvia and Lithuania, and analyses the factors that influence participation in the shadow sector. The index can be used to track shadow economies through time or across sectors and therefore is a useful tool to evaluate the effectiveness of policies aimed at reducing the size of shadow economies. Our results suggest that the shadow economy in Latvia in 2010 is considerably larger than in neighbouring Estonia and Lithuania. While the shadow economy as a percentage of GDP in Estonia contracted from 2009 to 2010, it expanded in Latvia and Lithuania. An important driver of shadow activity in the Baltic States is entrepreneurs' dissatisfaction with and distrust in the government and the tax system. We also find that involvement in the shadow economy is more pervasive among younger firms and firms in the construction sector. 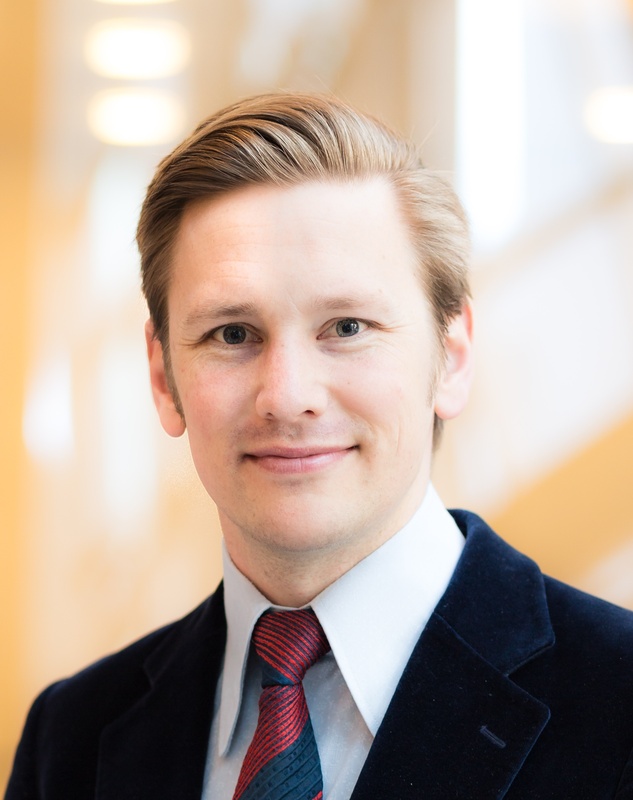 The findings of this study have a number of policy implications: (i) the relatively large size of shadow economies in the Baltic States and their different expansion/contraction trends cause significant error in official estimates of GDP and its rates of change; (ii) tax compliance can be encouraged by addressing the high level of dissatisfaction with the tax system and with government (e.g., making tax policy more stable and increasing the transparency with which taxes are spent); and (iii) significant scope exists for all three governments to increase their tax revenues by bringing entrepreneurs 'out of the shadows'. We study the effects of closing price manipulation in an experimental market to evaluate the social harm caused by manipulation. We find that manipulators, given incentives similar to many actual manipulation cases, decrease price accuracy and liquidity. The mere possibility of manipulation alters market participants' behavior, leading to reduced liquidity. We find evidence that ordinary traders attempt to profitably counteract manipulation. This study provides examples of the strategies employed by manipulators, illustrates how these strategies change in the presence of detection penalties and assesses the ability of market participants to identify manipulation. This paper examines the use, determinants, and impact of anonymous orders in a market where disclosure of broker identity in the trading screen is voluntary. We find that most trading occurs nonanonymously, contrary to prior literature that suggests liquidity gravitates to anonymous markets. By strategically using anonymity when it is beneficial, traders reduce their execution costs. Traders select anonymity based on various factors including order source, order size and aggressiveness, time of day, liquidity, and expected execution costs. Finally, we report how anonymous orders affect market quality and discuss implications for market design. We quantify the effects of closing price manipulation on trading characteristics and stock price accuracy using a unique sample of prosecuted manipulation cases. Based on these findings we construct an index of the probability and intensity of closing price manipulation. As well as having regulatory applications, this index can be used to study manipulation in the large number of markets and time periods in which prosecution data are not readily available. This article outlines the process of clearing and settlement for stock trades in the US. It pays particular attention to what happens when the seller of a stock fails to deliver that stock at settlement and describes the mechanisms to resolve delivery failures. Fails to deliver can occur for a number of reasons, such as human error, administrative delays and the controversial practice of naked short selling. This article helps understand the implications of naked short selling for trade counterparties and, more generally, the effects of naked short selling on the clearing and settlement system. Easley, D, Michayluk, D, O'Hara, M, Patel, V & Putnins, T 2018, 'Information flows and asset pricing'.